WebHostingHub.com offers complete unlimited hosting, and this is one hosting service that is ideal for those who plan to really market using a company webpage. With a plethora of different features and perks, this hosting service provides a complete well-rounded web building and hosting experience that not only allows you to build your website, but to get it off the ground as well. With a substantial advertising credit package included in membership, a company can market their business page however they see fit using a variety of well-known social networking sites and search engines. WebHostingHub.com provides features to experts and novices alike, and whether you are bringing a website over to the service or you plan to build a website using a desire package, this is one service with quite a bit of benefits to offer. One unique feature that is offered by this service is the addition of forums to a website. With forums, customers can talk to each other about a business or service and voice their likes, dislikes, or have general conversation. Through this, communities are often formed and word will tend to spread, making this a great tool for staying in contact with your audience as well as allowing members to market for you. If forums aren’t your thing, linking a blog to your site is also an easy task with this service, and this can help you to optimize your search engine results while keeping your visitors up to date. These blogs can be used to inform customers of new promotions or inventory, or simply to talk more about the business you are in, but they do add a lot to a business website experience. WebHostingHub.com has blog options for experienced bloggers and beginner level bloggers, and adding a blog to your site is made very simple. Ecommerce is also made easy with WebHostingHub.com, and users can have their pick of shopping carts, store styles, and payment methods to help their online businesses run more smoothly. The setup for an ecommerce site is made easy, and as users gain more experience they can update their site to have more creative layouts, different interactive features, and ways for your customers to have a truly fun experience. This is one service that really helps in the marketing department, and if you have an already existing website they can help you to get your website out there to the monitors of your consumers. Search engine optimization techniques as well as social networking perks are included in packages, and these can really help you to see a difference in your web traffic and resulting sales. WebHostingHub.com works with all major social networking sites to reach the largest audiences possible. Prices start at $1.95/month for the first 3 months and then $3.99/month thereafter, although different features and packages will have their own price ranges. The basic price range, however, does include many unlimited features and marketing credits that can be used to place ads in a variety of popular online locations, making it perfect for the average small business just starting out in web marketing. I love the forums feature I was able to add to my site. It’s helping me to see just how my customers feel about my services, and I’m able to improve to meet their needs as a result! Adding a blog to my site was a great idea, and I was very glad to see that this was a feature offered by WebHostingHub.com. I can now inform my customers about all of the new events happening with my catering business! Having never built a website before, I was a bit intimidated. I found the entire process to be very informative and quite fun, and I’m excited to manage my website and market it to the public! The unlimited websites feature gave me a way to manage all of my company’s different web pages from one account, and the process to do so is very user friendly. Help us to help others by leaving a short review. 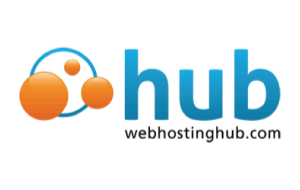 What was your experience with Webhosting Hub?